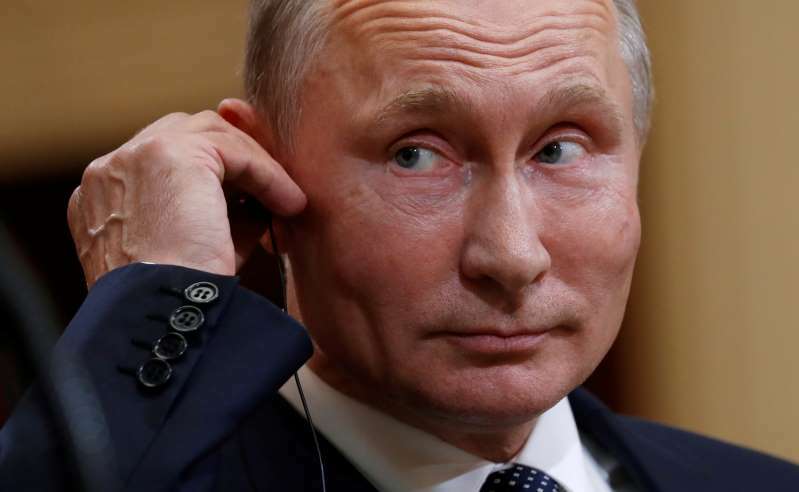 Russian President Vladimir Putin listens as U.S. President Donald Trump speaks during their news conference in Helsinki, Finland July 16, 2018. [post_ads]The thing about Trump's posture toward Putin isn't just that it's highly controversial and questionable given Russia's 2016 election interference; it's also totally counter to Trump's brand. This is the guy who wrote the “Art of the Deal” and, just days before his meeting with Putin, was wrecking shop at a NATO summit in hopes of getting fellow members to kick in more for the common defense.